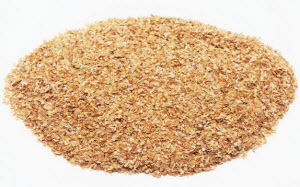 Wheat bran for digestion accelerates the work of the colon and increases the frequency of its discharge. Because of this it is ideal for people who have problems with constipation, but recent studies suggest that their regular consumption helps prevent formation of cancer. Most grains such as oats and wheat, have a tough outer shell, when processed, they become a product we call bran. Also, we obtain it when wheat is processed into real wheat flour. They are full of nutritional matters, and offer a variety of nutritional benefits, which we will say more about it in our article. Does bran have calories and how healthy it is? This food is extremely useful for the proper functioning of our intestines, but also for weight loss, because it speeds up the metabolism. In 100 grams of wheat bran there is about 206 calories, 26.8 grams of carbohydrates and proteins 14.1 g and fat 5.5 grams. Appropriate dosage regulates digestion, because this natural laxative has a good effect on lazy bowels, which means that you will have a bowel movement every day and it will do a lot for your health. It is used for the treatment and prevention of constipation, because it contains 6g of fibre per cup. It is composed mainly of insoluble fibre, which helps to improve bowel movements. Unlike soluble fibre, wheat bran does not absorb water during digestion, but remains undigested, helping stool pass through the digestive tract much quicker and easier. When it comes to minerals, wheat bran contains copper (1 mg per 100 grams), iron (10.5 mg), zinc (7.3 mg), selenium (77 mg), magnesium (611 mg), and the most phosphorus (1013 milligrams). It contains 48.6 mg of folic acid in a hundred grams, which is a quantity that will give you 30 percent of your daily requirements. Of the vitamins B1 is present, E, B2, B6, B3, B8. Wheat bran for digestion is used as a source of dietary fibre, which prevent the occurrence of serious diseases, including colon cancer, stomach cancer, breast cancer, gallbladder diseases, haemorrhoids, etc. It is also used to treat constipation, irritable bowel syndrome, high cholesterol, high blood pressure and type B diabetes. Since they have a high content of fibre, contain magnesium, manganese, niacin, phosphorus, zinc, vitamin B6, low fat, contain no cholesterol, sugar and sodium, they are extremely beneficial for our health. Wheat bran is one of the best natural sources of dietary fibre. Regular consumption, will allow you to maintain normal functioning of the intestine, as eliminate the possibility of constipation, which may be caused by inadequate nutrition, longer trips and the like. Wheat bran can also be used as a cure for gastritis. For a daily dose you need 6 tablespoons of bran and 1.5 litres of water. Before bed dip bran in clean water and let it stand overnight. In the morning, strain the water through a strainer or cheesecloth and during the day only drink this water, avoid juices and carbonated drinks. Coffee and tea you can drink freely. An alternative to this recipe is to eat a spoonful of wheat bran and drink glass of water after. Linings of wheat bran are used against ulcers, abscess (purulent), cellulitis, anthrax, by collecting and draining pus, and also soothes the pain in the joints (especially helps with painful and swollen knees). Mash of bran is prepared from five mashed leaves of cabbage, two onions (also mashed), five hands wheat bran, and a little water. This porridge is cooked for 20 minutes, until the water has evaporated and you get a sole mixture. The mixture while it is still hot put on gauze and apply on the sore spot. Allow porridge to work two to four hours. How good is wheat bran for human consumption? Wheat bran has a sweet taste, but not all alluring. You must be careful at the start of its use, and gradually add it to your diet. If you start to consume it all at once in large quantities, it can cause diarrhoea. Adding wheat bran in cakes, pancakes, biscuits, is a great way to boost the nutritional value of such treats especially their content of valuable fibre. Some people use wheat bran powder to make up for the daily needs of fibre in the diet. It must be noted that it is added to foods that have no nutritional value. For example, a combination of a cereal containing it may have too much sugar, or fructose corn syrup. Muffins or cakes with the addition of wheat bran may contain too much unwanted fat. If added to pancakes, then it loses nutritional value if you overdo it with syrup or butter. Adding these foods to the diet does not give you the right to overdo the intake of some other bad to your health foods. How to properly store it? Wheat bran cannot be stored as common wheat flour. It is perishable, so we recommend that you keep it in the refrigerator, especially if you want to save it for extended periods. The alternative is keeping it in the vacuum closed container, at a moderate temperature. If you notice that it has started to have a bitter taste, this is the first sign that it has begun to deteriorate, so it is best to immediately throw it away, and get a new one. I used wheat bran as a cure for stomach and duodenal ulcers. In the evening, in a glass of 2dl I put a tablespoon of wheat bran and stir. In the morning I drink all the water together with the bran, before eating. In the beginning it was a little strange, but I persisted, and two months later I went to the radiologist and he was surprised by the results. There were no traces of scars from ulcers. I recommend it to all! M. K.
I regularly use wheat bran for weight loss, it is tasty and besides keeping me fit it helps me with stomach problems. S.D.N. I eat bran after some big celebrations. It is a real cure for the stomach, as the brine for a hangover. H. J. Here is another great recipe that will allow the proper functioning of the intestines. You need to heat up two cups of milk until boiling. Remove the milk from the heat and in it, add half a cup of wheat bran, half a cup of dried fruit (grapes, bananas, apricots, apples, raspberries, plums) or just half a cup of mixed fruit. Then add two tablespoons of honey. Stir and enjoy a healthy breakfast full of essential nutrients. What else is important to know before buying it? Wheat bran is now available in health food stores and in large shopping malls. You can buy it roasted and fresh. You can buy it in bulk so that it is easily added in cooking, or to your favourite blends of grains, in making pastries and the like. There are many foods that contain wheat bran, as well as bread and flour. However, it should be noted that many products containing it (muffins, waffles, chips) actually contain very little bran. They also contain high levels of sodium, total fats and saturated fats. Always carefully read the label before buying any food. Many manufacturers are trying to push the product as something healthy, but actually contents can even be harmful to you.